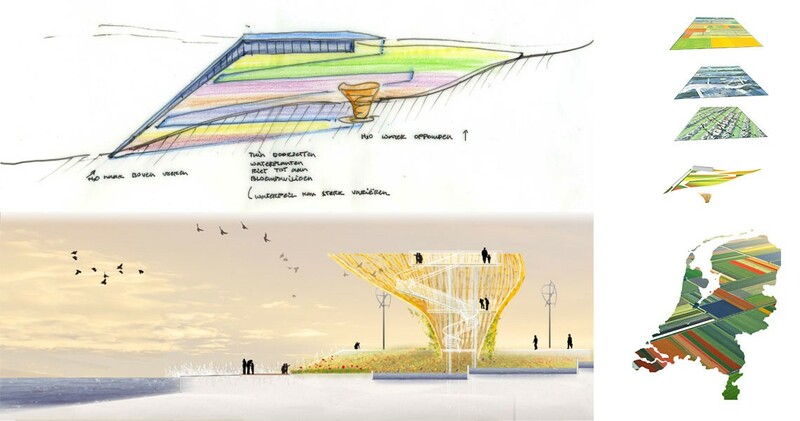 We have been invited to design the Holland Garden at the coming Xi’an International Horticultural Exposition 2011 Xi’an. In response to climatic changes, the aim of the Holland Garden is to acknowledge the need for an urban environment within an ecological setting. It serves as a model for the Chan-Ba Ecological District development. This eco-city garden is representative of a typical Dutch landscape with orthagonal plantation strips displaying traditional flora. The primary concept utilizes the circulation of water embodying the notion of a continuous life-cycle. 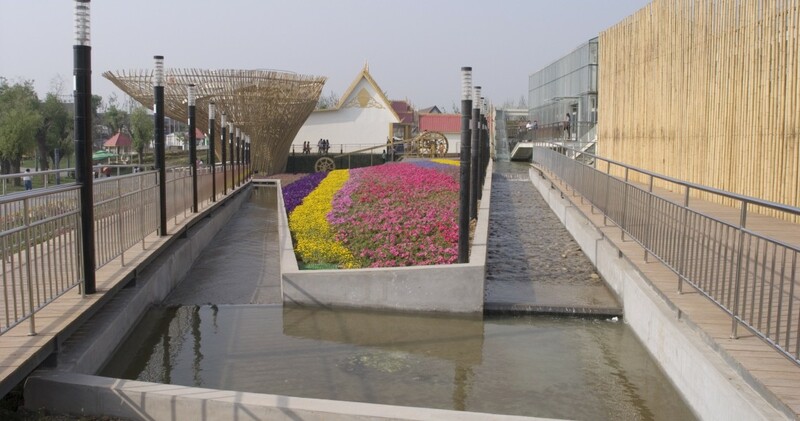 The water circulates from the top of the landscape through the Eco-Pavilion and using a levada water system, meanders through the garden to the Flower-Folly structure before being pumped up and re-cycled. 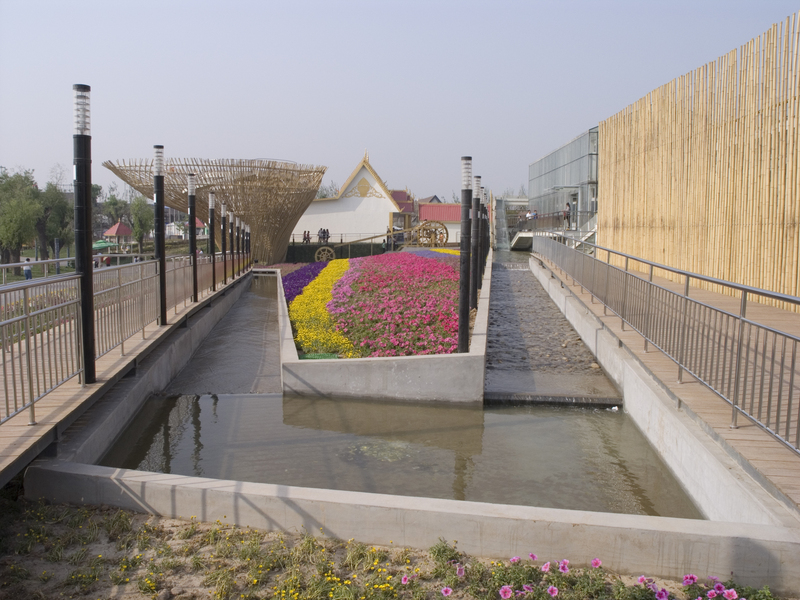 The Eco-Pavilion uses the water system to service the design in addition to providing an aesthetic feature. The pavilion sits on an earthquake-resistant water basin and generates energy through the use of windmills to circulate water, solar power on the greenhouses, geo- aqua thermal heat system and kinetic tiles. The pavilion acts as continual path situated within the floral context of the landscape. It appears as an elevated strip of land merging with the natural surroundings with its bamboo materiality, vegetation and free-flowing water. The audience circulate through the pavilion, they experience and can learn about the environmental processes that service the pavilion. They then follow the path of the water down through the Holland Eco Garden leading to the Flower-Folly structure. Once arrived at the flower pavilion, free standing in the water, the path is spiralling up through the pavilion. Once arrived at the top a belvedere is showing the visitors a beautiful view over the horticultural expo. At the Flower pavilion functionality is replaced by a more metaphorical approach. The design is the outcome of an artificial evolution created by an algorithm in which there is a morf between the outline of the city of Xi’an and Holland. 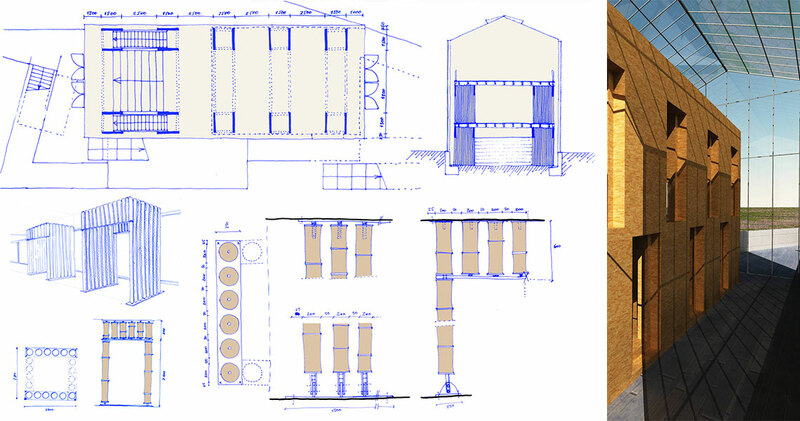 By doing so the pavilion symbolizes the meeting of our cultures. 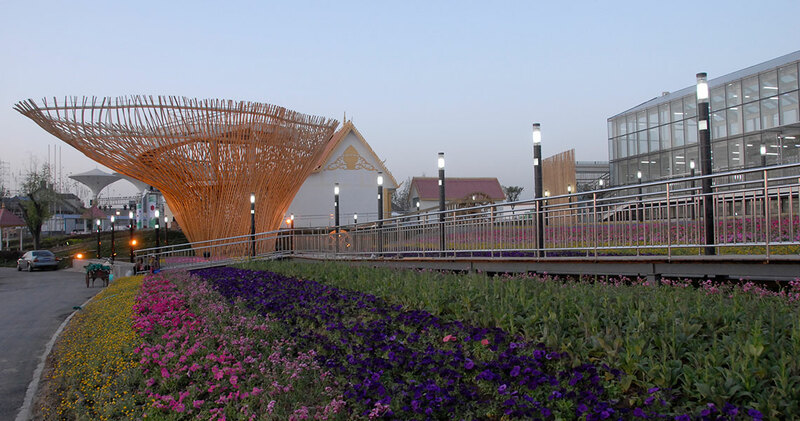 In creating this shape the pavilion also refers to an artificial flower emphasizing the ever increasing relation between agriculture and technology. 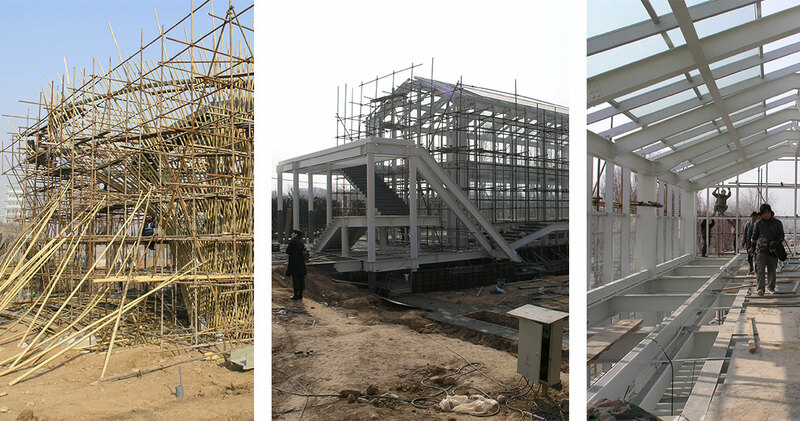 The construction of the flower pavilion is similar to a previous project by Archipelontwerpers, the Ball Gown in The Hague as can be seen in the October 2008 issue of Interior Architecture of China.